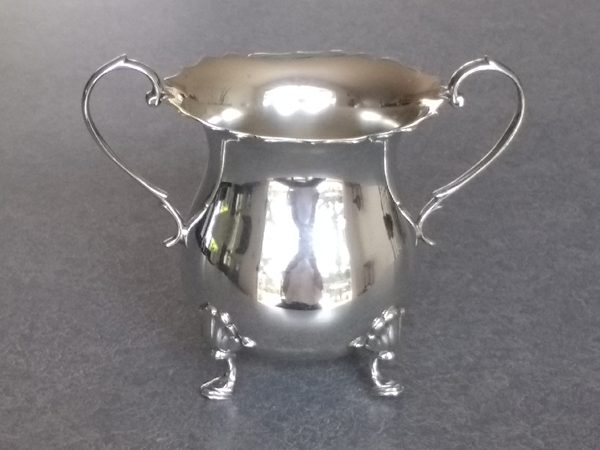 The following images are examples of polishing sterling silver with before and after images. 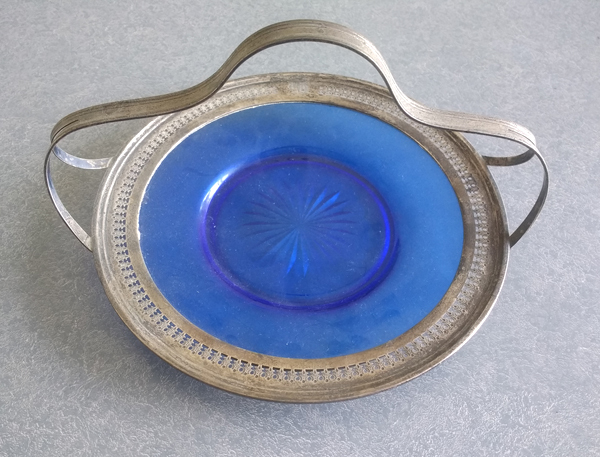 This beautiful blue glass plate has a sterling silver edge with handle. 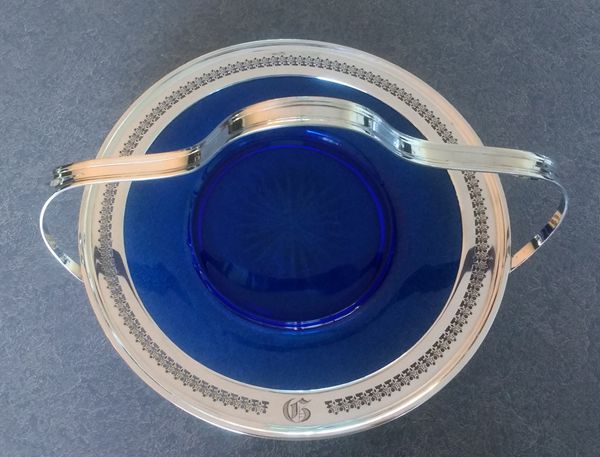 The sterling silver rim and handle is permanently mounted to the glass, thus presenting a polishing challenge. 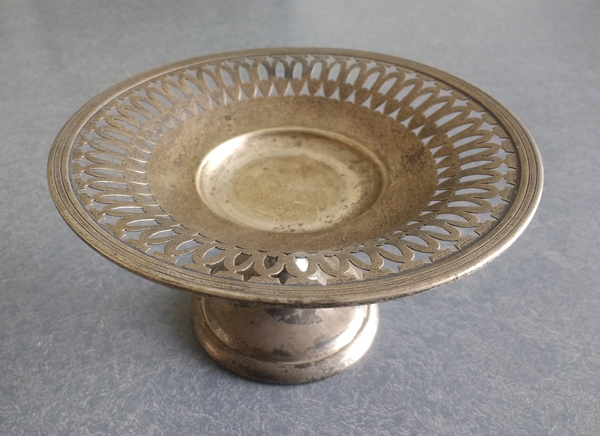 I have never broken anything but can not take responsibility when polishing a silver rim on a glass or porcelain plate. 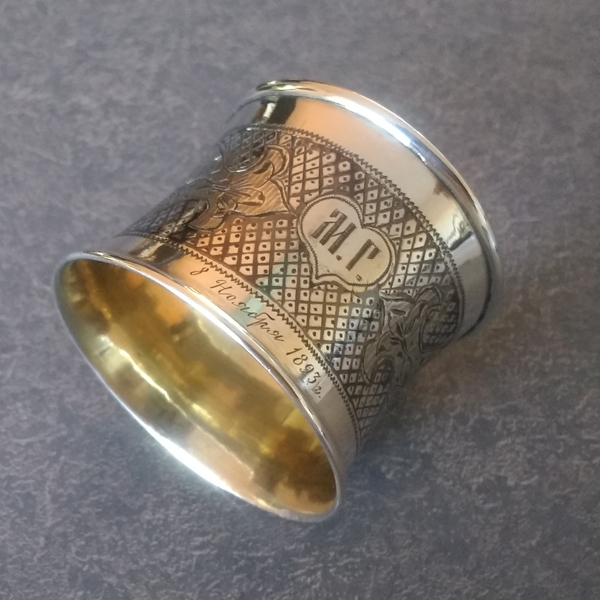 Even the smallest precious object like this antique napkin ring can benefit by a careful polishing. The gold plating on the inside was preserved. The hand engraved design had niello in the design providing high contrast with the polished silver. Niello is an ancient alloy of sulfur, copper, silver and lead inlayed into an engraved design. 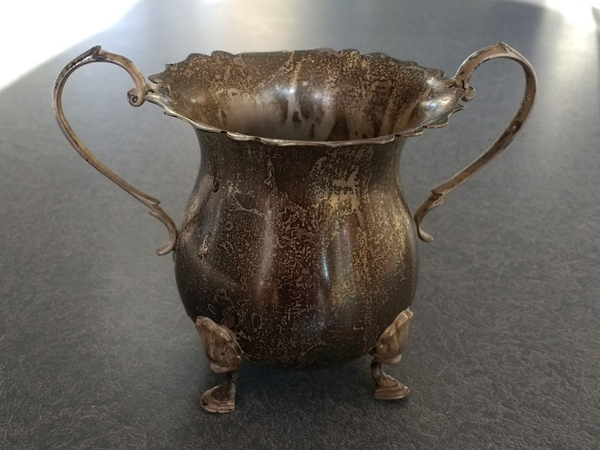 When sterling is black with tarnish is is very hard to remove the heavy oxidation by hand. Supposedly these candlesticks also survived a fire 40 years ago. They were in really bad shape beyond what normally happens in storage. 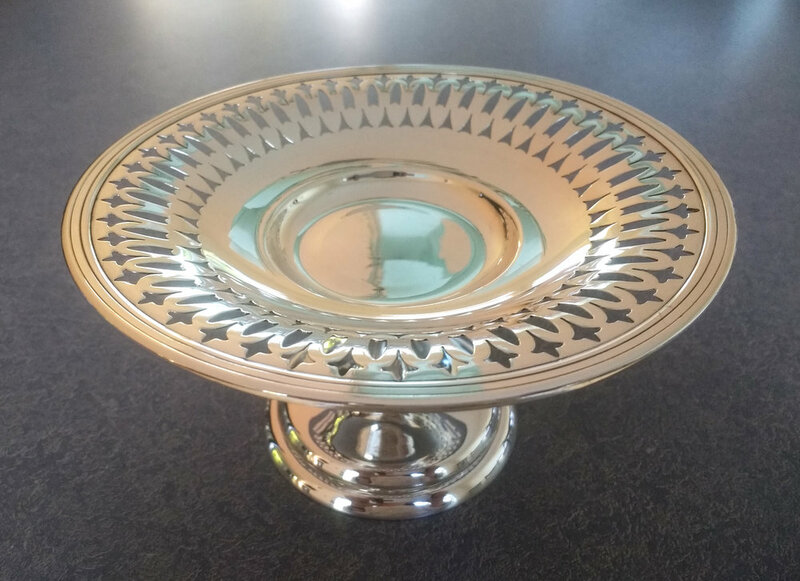 Send me a photo of your silver and I will get back to you with an estimate for polishing.